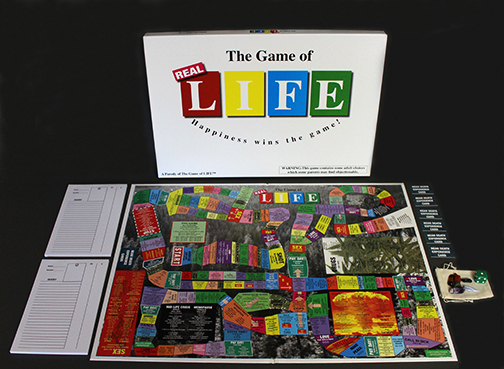 is a parody of The Game of LIFE™ by Milton Bradley™. In this game of life : HAPPINESS WINS THE GAME ! This Game of REAL LIFE contains adult situations which some parents might find objectionable. By clicking ENTER HERE you state you are thirteen years or older.